faux-leather Heel height: 1" (approx). 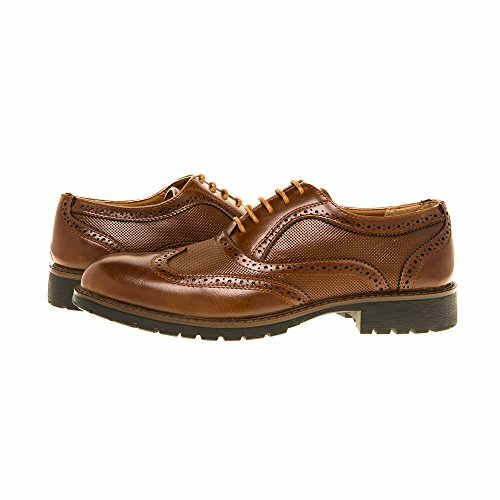 Premium Faux Calfskin Leather Upper. Cushioned Latex Zibest Technology footbed for ultimate under-foot comfort. 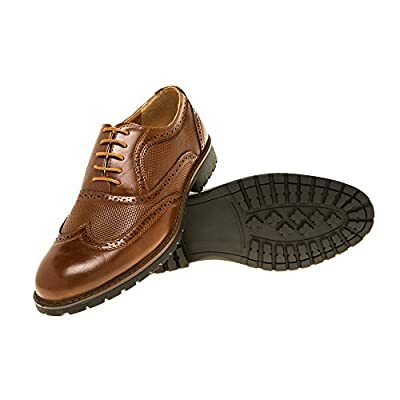 Elongated Toe Dress shoes Lace Up with Ribbed embossing and 2 side elastics for easy Slip on and off Perfect for walking, driving, going to work formal, office, business trip; the stylish & classic design make you stand out in any enviroment or event. Dung Bottom, Anti-slip, Shock Absorption, Light and Soft, and Breathable Insole interior fabric Brio Milano is the only Authorized Seller. faux-leather Perfect for walking, driving, going to work formal, office, business trip; the stylish & classic design make you stand out in any enviroment or event. Heel height: 1" (approx). 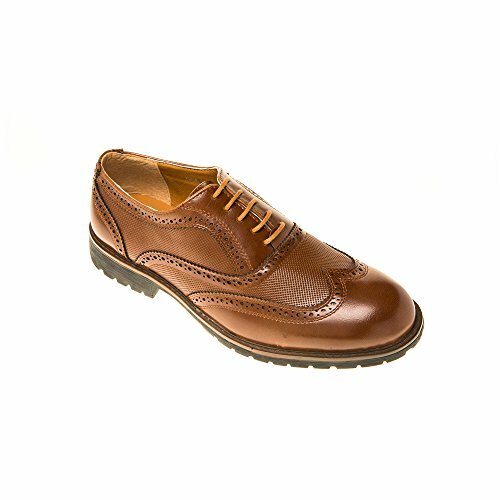 Premium Faux Calfskin Leather Upper. Cushioned Latex Zibest Technology footbed for ultimate under-foot comfort.